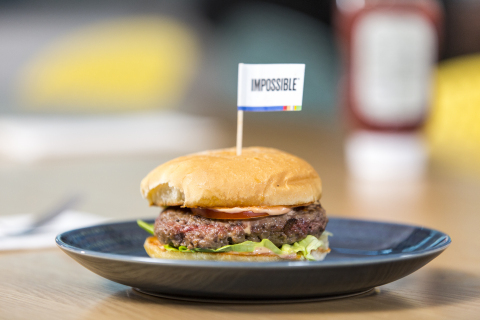 LAS VEGAS--(BUSINESS WIRE)--Impossible Foods launched its first major product upgrade this week at the International Consumer Electronics Show -- and Impossible Burger 2.0 took home the show’s highest honors. "Our cycle of innovation can be much faster than that of the electronics industry," said Brown, a former pediatrician, co-founder of the Public Library of Science and Professor Emeritus at Stanford University. "As soon as we determine we've got something decisively better, something that will accelerate our mission to eliminate the need for animal agriculture, we can launch it. We don’t have to worry about legacy system upgrades -- and our biggest competition, the cow, isn’t iterating at all." Based in Redwood City, Calif., Impossible Foods uses modern science and technology to create wholesome and nutritious food, restore natural ecosystems and feed a growing population sustainably. The company makes meat directly from plants -- with a much smaller environmental footprint than meat from animals.